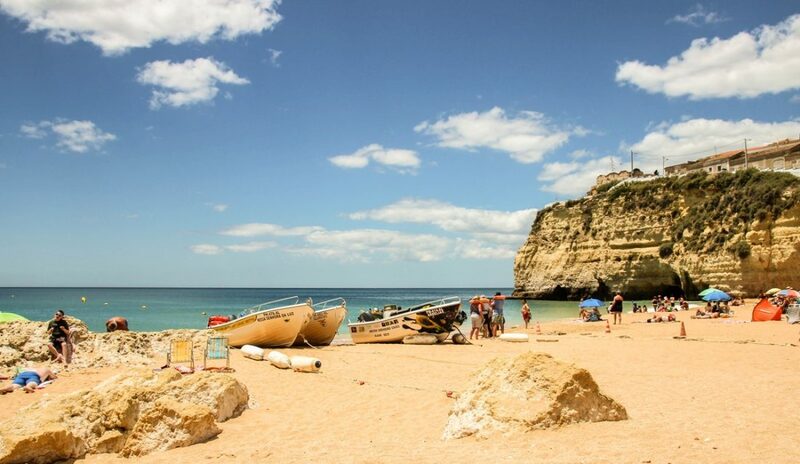 Are you guys looking for the best beaches in Algarve to get your vitamin D on? 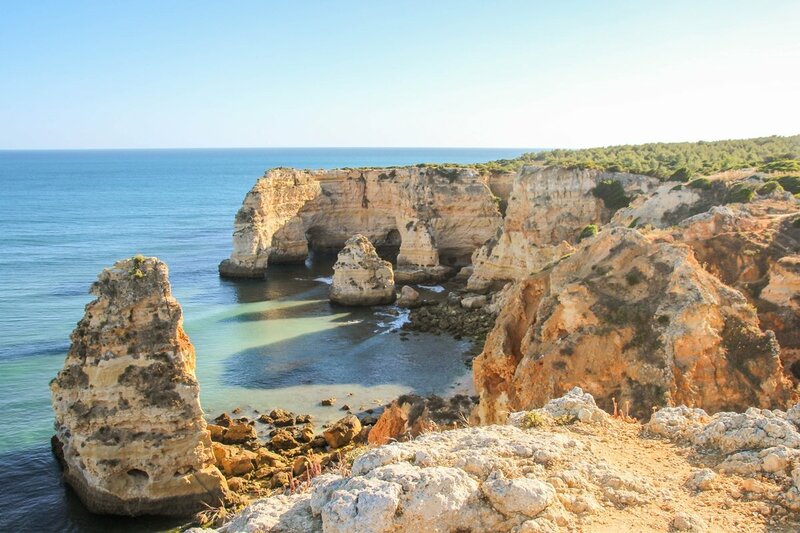 If you are lusting after some quality sun, sand, and sea, the Algarve coast might prove to be the perfect reason to visit Portugal. 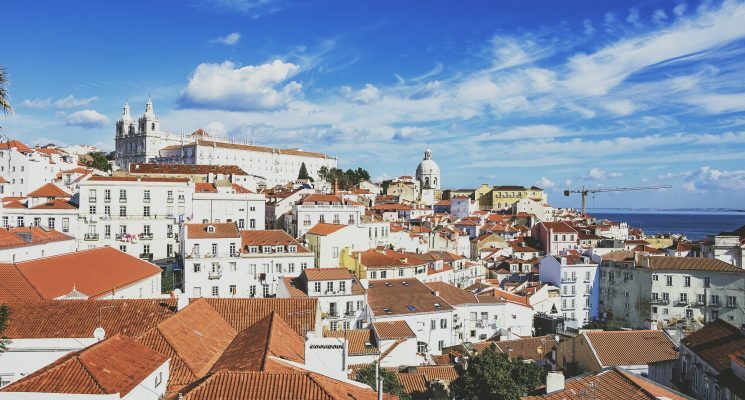 Located in the southern part of one of our favorite European countries, and spanning an area of nearly 5,000 square-kilometers, the Algarve is the most sought-after destination in the country among local and foreign tourists alike. 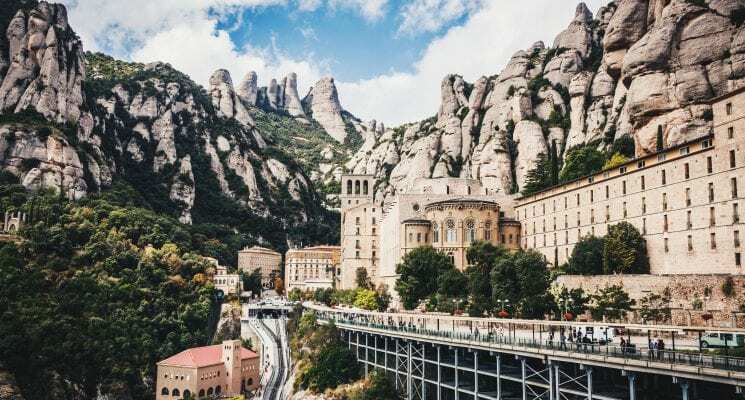 Boasting picture-perfect little towns, a Mediterranean climate, mouthwatering cuisine, and relative affordability, it’s no wonder that the area is visited by millions of travelers each year. 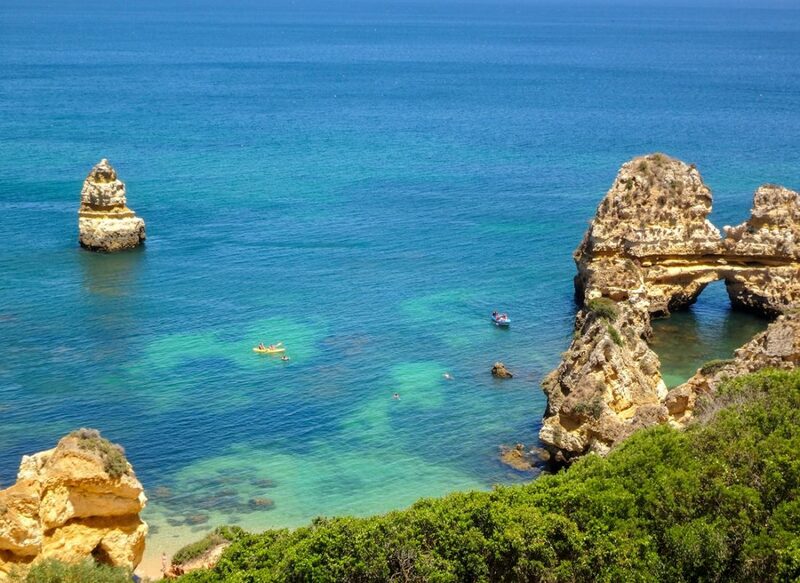 Let’s talk about Algarve’s most awesome attractions, the amazing beaches. Not too long ago I had the pleasure of exploring nearly a dozen of Algarve’s most famous beaches, and I fell in love. SO much so that I decided to showcase a handful of my favorites. 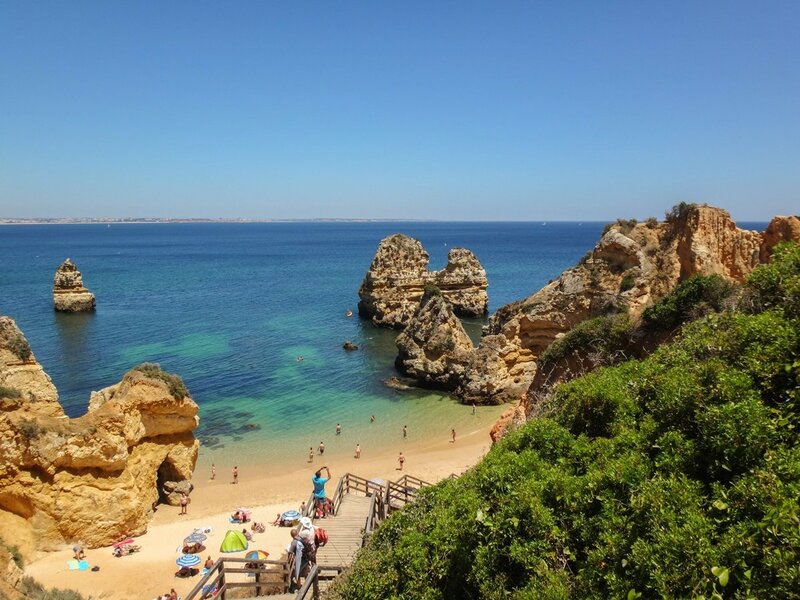 However, before we go on a short tour of some of the best beaches in Algarve and the Algarve Region, here’s a little practical info to help you start planning your visit. The easiest way to get to Algarve is by flying into Faro, the administrative center of the region. 45 different national and international airlines serve the city, including numerous low-cost airlines such as easyJet, Ryanair, and Wizzair. 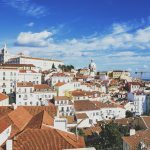 If you happen to be in the capital city of Lisbon, you can leisurely get to Faro in 3.5 hours by train. Regular, direct trains run between the two major cities five times daily, setting you back €26.00 for a 2nd class and €39.00 for a 1st class ticket. If you manage to purchase your ticket up to 60 days in advance, you might even score a significant discount. On the other hand, buses run over 20 times a day and cost about €19.00 one-way. Although they are just a bit slower than trains, they’re still a great alternative. 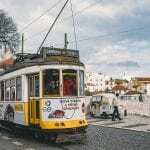 If you prefer driving, both Lisbon and Faro offer numerous options when it comes to budget-friendly car rentals. A rental car from Faro might come in handy when exploring and getting to the best beaches in the Algarve Region. 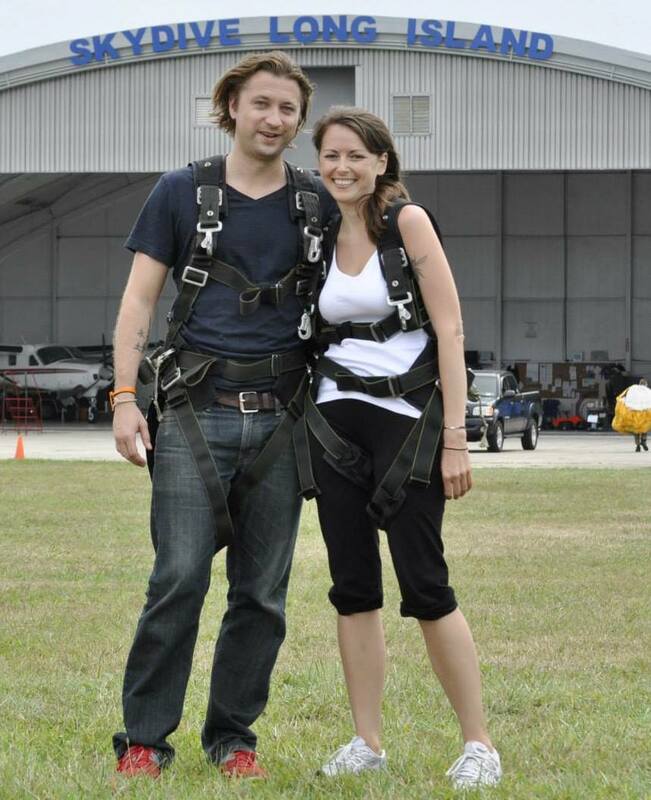 It can get you to any small town or secluded area which isn’t in the general route of local public transportation. It can also offer you the freedom of stopping anytime, anywhere and stay in one place as much as you like. Before you hit the road, make sure you’re familiar with the road tolls you need to pay to avoid getting fined. 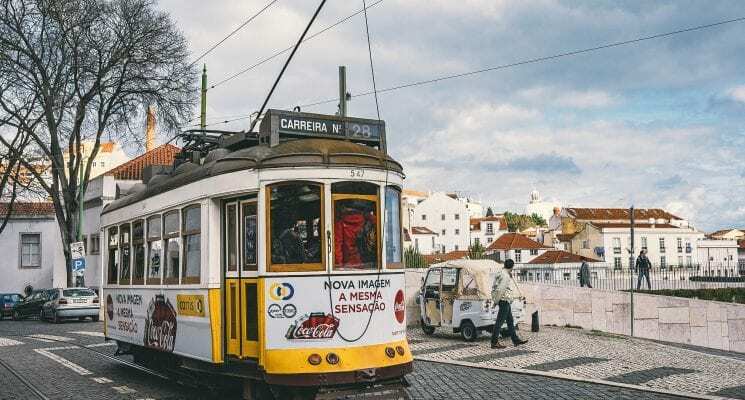 Trains only run in some of the largest cities of the Algarve and don’t reach smaller, coastal towns. You can consult the list of available destinations on their official website and plan your trip accordingly. Buses cover a much wider area than trains and run more frequently. You can mostly check the bus schedules online. Although this is a pretty good way to get around, you’ll still have to plan your trips after a schedule, which can be very limiting. For around the same price of a rental car you can also get either a scooter or a motorcycle if you prefer two-wheelers. If you’re interested in exploring the area from the sea, the Algarve Region offers plenty of cruise lines to choose from. Best Hotel in Algarve – For a base in central Algarve, check out the wonderful Hotel Carvoeiro Sol, 25 meters away from the central beach. Although it’s not exactly cheap, you can’t really beat such a killer location and all the amazing amenities which this hotel has to offer. 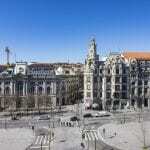 Best Hostel in Algarve – The Backpacker’s Asylum prides itself in being the friendlies traveler’s hub in Faro. Located right in the heart of town, you can enjoy the proximity to local bars, restaurants, cafes and shopping. 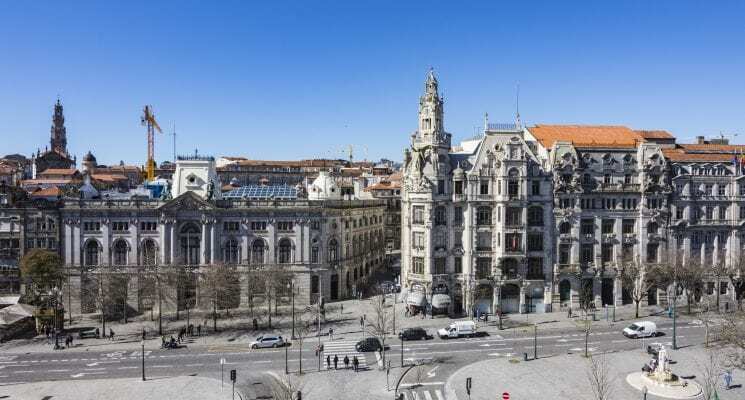 Enjoy the laid-back atmosphere on the rooftop terrace or save a few euros by prepping some dinner in the fully-equipped kitchen. 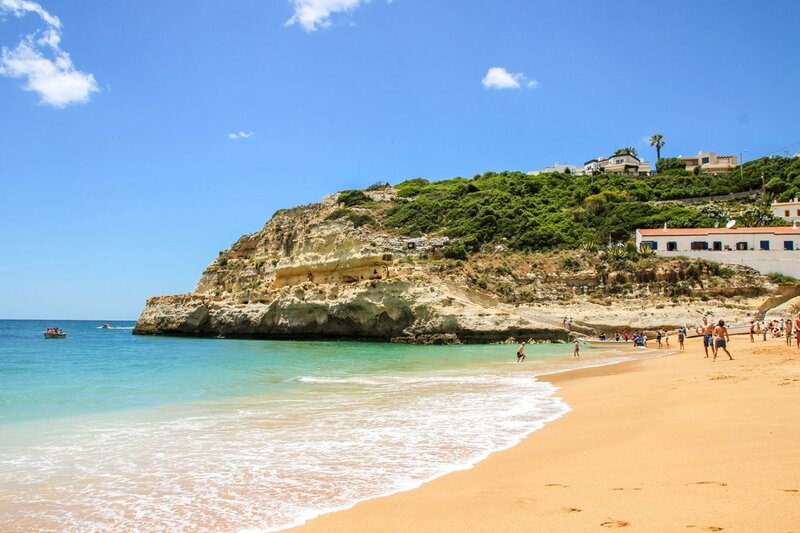 Kicking off the list is one of the most iconic beaches in the entire Algarve Region, the small but beautiful Camilo Beach in the periphery of Lagos. The lovely Camilo is extremely popular among tourists, thanks to its spectacular location between giant rock formations, accessible only through a set of steep steps. The sandy beach, albeit tiny, offers crystal-clear waters providing excellent snorkeling conditions. Although it can get pretty crowded during the summer months, don’t hesitate to check out the adjacent, much quieter beach accessible through an artificial tunnel. Due to the limited amount of space, there aren’t too many facilities at Praia do Camilo, however you will find a nice restaurant at the top of the stairs along with a parking lot which works on a first come, first served basis. While you’re here, make sure you include the Ponta da Piedade in your itinerary to get a firsthand view of the surreal coastline of the Algarve region. All of the above combine to make Praia do Camilo not only one of the best beach destinations in all of Algarve, but also one of the top attractions in Portugal. Don;t miss out guys! Make sure to visit this incredible European beach destination! If it’s a city beach in Algarve you’re looking for then you can’t really go wrong with the magnificent Praia do Carvoeiro, located merely steps away from the center of the old fishing village with the same name. Small but clean, this beach is the perfect choice if you like the comfort of being close to shops, bars, clubs, and restaurants. You can also rent sunbeds, do watersports, and hop on a few boat tours to discover more of the area from the sea. Praia do Carvoeiro’s convenient location has the added charm of white houses with red-tiled rooftops resting on the two bordering cliffs. Even if the beach is far from spacious, it doesn’t get as crowded as Praia do Camilo, because the city of Carvoeiro is pretty underrated. Since you’re in the area, don’t hesitate to drop by Algar Seco, a fascinating nature site with gripping grottos, a blow hole, alluring rock formations, and some of the best viewpoints in the area. This was one of my very favorites, and is without a doubt one of the best beaches in Algarve. A lesser-known Algarve beach, and a great alternative to Carvoeiro’s main beach, Praia do Vale Centeanes can be found in the periphery of the city. It offers a much quieter beaching experience where I spent many hours reading, swimming, and just relaxing without being surrounded by too many people and disturbances. Although you won’t have the perks of getting an ice-cold beer from the bar, this beach is the ideal choice for those in search of some true seaside tranquility. So bring a bottle of Sangria (tip: dig it into the sand to keep it cool), some chips, and your favorite book or a nice crossword puzzle and enjoy the sunshine! But before you head back to your hotel, make sure you hike up to the top of the cliffs (there are nicely-visible trails everywhere) to enjoy an awesome view of the stunning Praia do Vale Centeanes from above. All of these factors combine to make Praia do Vale Centeanes one of the best beaches in Algarve to catch up on rest and relaxation. By far my favorite memory of our 10-day Portugal trip was visiting Benagil. Although at first it might seem like your regular beach, and maybe not one of the best beaches in Algarve, Praia de Benagil and its surroundings have a wonderful little secret. To the east of the beach you can find the most unique of places: an accessible grotto with its private beach and a huge hole at its top, letting in some fine sunshine! Getting to this wonder of nature is possible in three ways. You can join a group boat trip which will take you inside the cave for a few photos and which will then transport you to see some other coastal phenomena as well. Such a tour lasts an hour or so, will set you back €20.00+. The downside is you can’t get out of the boat and won’t get to spend time in the cave beach. Another viable option is to hire kayaks for approximately the same price and paddle your way into the cave. This way, you can stay as much as you want inside the cave; however the €20.00+ you’ll have spent might still sting a little and ruin your mood. The third option is to swim inside. Although a highly debated method, this is the most budget-friendly way to see Benagil Cave. I must warn you that you may only attempt to swim there if the weather is PERFECT and you’re an experienced swimmer! I really mean it, don’t even give it a go if the waters are one bit tumultuous! Although the 200 meters’ distance one-way might not seem like much, it can prove to be damn difficult once you’re up against strong ocean tides and need to dodge a myriad of tour boats. For an easier swim, don’t hesitate to put on your fins (they really help). Once inside, make sure you don’t stay for too long, because the weather can change quickly and remember that you’ll have to battle strong oncoming waves during your exit. All in all, I’d recommend enjoying Benagil responsibly and make sure you judge the weather conditions realistically and opt for safer ways to see the cave if swimming is not possible. 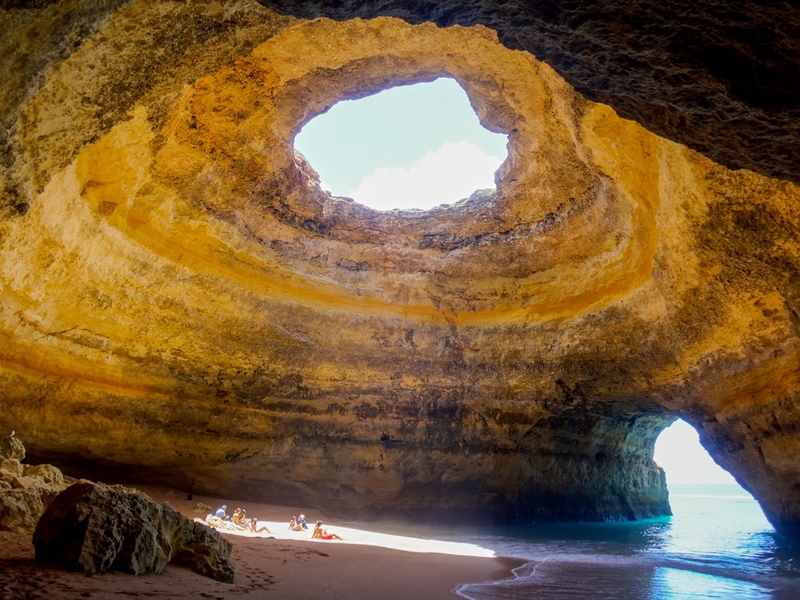 Either way you visit this amazing spot, there is no denying that this bit of mother nature is absolutely STUNNING, and it is pretty much the highlight of any Algarve beach excursion. One of the symbols of the Algarve coast, frequently seen in advertisements all around the world, is the charming Praia da Marinha (which translates to Navy Beach). Thanks to its outstanding water clarity, emblematic rock formations (which include a double window to the sea! 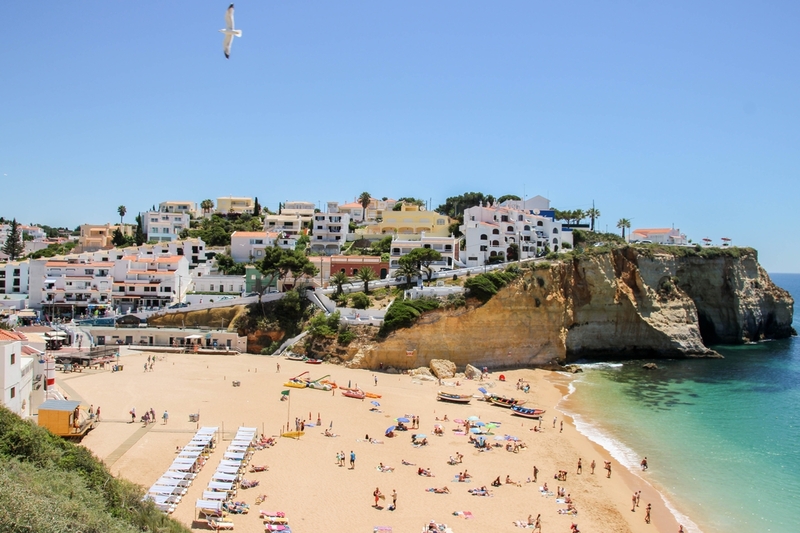 ), and soft sand beach, we can safely say its popularity is well-deserved, and that it totally earns its spot on this list of the best beaches in Algarve. Although not the largest beach in the region, Praia da Marinha doesn’t get too crowded and you can easily find a place even though it’s recommended by pretty much every guidebook out there. It is also the starting point for numerous boat trips surrounding the area and paddle boat hire is also possible from here. One of the best things you can do at Praia da Marinha is explore the amazing underwater life through your goggles, so make sure you bring snorkeling gear! Well, that does it for now guys. 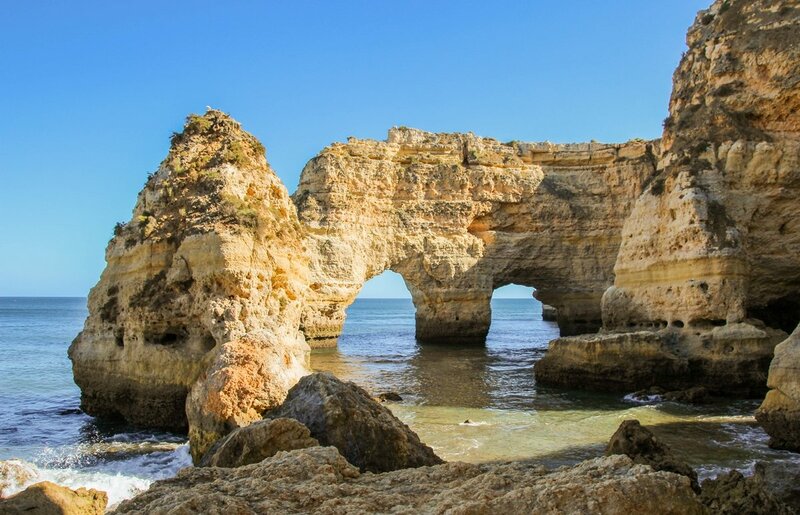 Hope I was able to inspire some of you to visit Algarve, and partake in the regions best beaches. 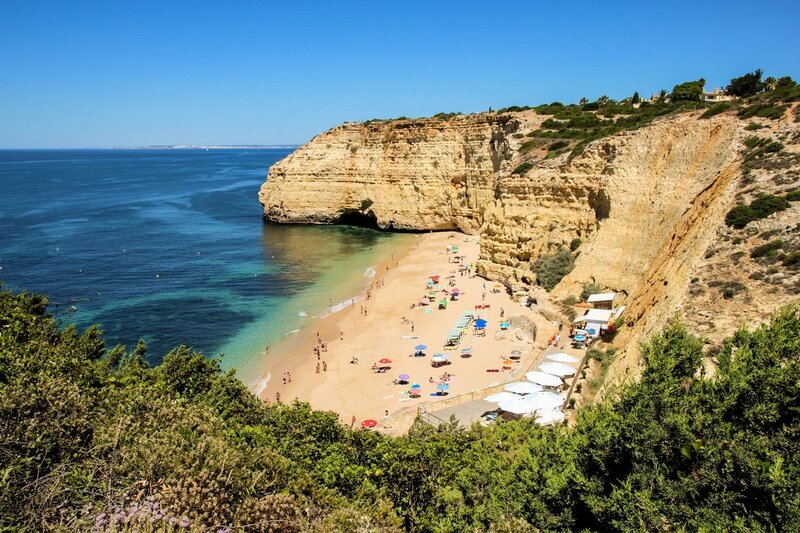 So tell us: which beach have you visited (or would like to visit) in the Algarve Region of Portugal? As always, travel well all, and Just a Pack will see you on the road! 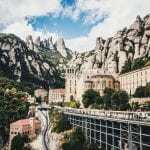 Disclaimer – We have included a few handy little affiliate links in case any of our readers want to book accommodations or rent a car. We receive a small commission for any sales made, without any additional cost to you, our dear reader.